Playing Blackjack online at a Microgaming powered site is going to see you having access to by far and away the largest range of Blackjack game variants. You will find a huge range of card games are additionally on offer on both their downloadable and instant playing gaming platform. But be aware if you access a Microgaming powered site via a mobile device and play via their mobile App only a small handful of Blackjack variants will be on offer to you. With that in mind please do try and make use of their online gaming platforms, for when you do you are going to be able to access and play single hand Blackjack games, multi hand Blackjack games and will also be given access to their huge paying progressive jackpot Triple 7’s variant. 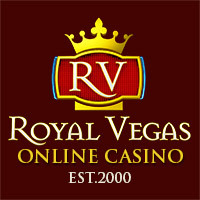 As with any online casino site when accessing a Microgaming powered casino you will be able to play their range of games for free or for real money, however to have the best chance of winning make sure you stick to playing their lowest house edge game, which for reference is their single hand Classic Blackjack game and you play each hand dealt out to you optimally. Below is an overview of each of the most popular Blackjack games that Microgaming casino have on offer, please take some time to study each of the games listed below as you will find the playing rules alongside each of them along with that all important house edge. Classic Blackjack – The one game you should always try and play at Microgaming powered online casino sites is their very low house edge Classic Blackjack game and by doing so you will be playing a game on which the house edge can be as low as 0.13% when you play this game optimally. This variant has just one single deck of 52 cards in the shoe and the dealer does not peek on aces and stands all soft 17 hands. A player is able to double down when dealt out any 9, 10 or 11 initial two card hands but is not able to double down when they have chosen to split a pair of cards no surrender option is offered on this blackjack game. Vegas Strip Blackjack – A regional variant Blackjack game is offered at Microgaming powered casinos that being their Vegas Strip Blackjack game and this game is one on which you can get the house edge down to just 0.35% with perfect strategy. You will find this game has a total of four full decks of playing cards in its shoe and whenever the dealer has a soft 17 hand he stands that hand. The game is a hole card game so the dealer will peek at his down facing card when he has an ace showing and players can both double down on any initial two card hand and can double down after splitting a hand no surrender option is available on this game. Vegas Single Deck Blackjack – If you want to play a Blackjack game with the lowest number of decks in the show then all downloadable and instant play Microgaming software powered online casino sites has on offer the Vegas Single Deck Blackjack game, and you will find this is a fairly low house edge game with perfect strategy as the house edge can be as low as 0.35%. It is a game on which one deck of cards is in play and the dealer hits his hand when dealt out a soft 17 valued hand. As this game is a hole card game the dealer peeks when dealt out an initial ace and all players can double down their hand when dealt out any 9, 10 or 11 valued initial two card hands and cannot double down their hand when they have split a pair. Atlantic City Switch – You can play another regional Blackjack game at Microgaming powered casinos which is the Atlantic City variant which has eight decks of cards in the shoe, and when played optimally you will get the house edge down to a low 0.36%. When the dealer faced with a hand worth a soft 17 or lower he will hit those stand those hands. This game is a hole card game and players can double down on any two cards that have been dealt out to them, and players are going to be able to double down after they have split a pair of cards. Spanish Blackjack – There are eight decks of cards Spanish decks which have no 10 cards in play in the Spanish Blackjack game which is found in the gaming suite of casinos using the Microgaming suite of games. You are able to double down when playing this game on any two cards dealt out to your hand, and can double down after splitting any pair of cards. 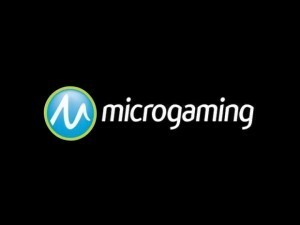 The Spanish Blackjack game from Microgaming has a range of bonus winning payouts and a late surrender option is available, perfect strategy will get the house edge down to 0.38%. Pontoon – 0.38% is what you can get the Pontoon games house edge down to if you play this game with perfect strategy in place. This game is another unique card game variant from Microgaming which offers no surrender options and has a total of eight decks of cards in the shoe. The Dealer plays any hand worth a soft 17 by standing those hands, and will peek as this game is a hole card game. Players will be able to buy a card on any two initial cards dealt out to them and can buy a card when they have split any pair of cards. Vegas Downtown Blackjack – Just two decks of playing cards are in the Vegas Downtown Blackjack games shoe and this game can be a game offering a house edge of 0.39% if you put into play the best playing strategy. Getting dealt out a soft 17 will see the dealer then hitting those hands, and players will see the dealer peeking as this game is a hole card game. You can double down on any two initial cards that have been dealt out to you and players can also choose to double down even after they have split a pair of cards.